The SuperBowl is right around the corner and presents tremendous opportunity for brands to jump into the spotlight. Of course, the big brands are spending millions of dollars to get their short lived moments of fame with the hope of making a lasting impression, earning loyal brand evangelists and inspiring people to talk about them, share their message and become a viral hit sensation. NBC is seeking $4.4 million to $4.5 million per second! The good news is that you don't have to be a huge brand to tap into the energy of the SuperBowl to power up your brand! 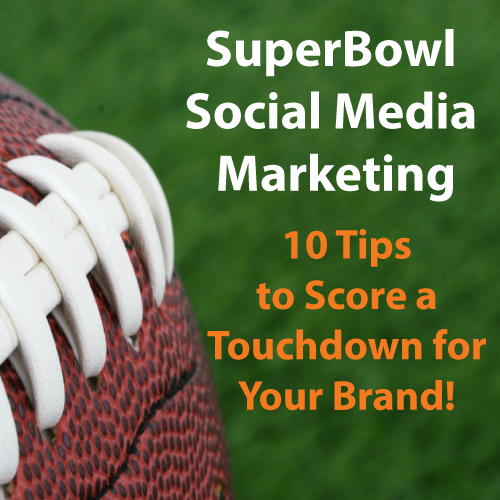 Check out this episode of the Social Zoom Factor podcast for 10 tips to make a touch down with your marketing this upcoming SuperBowl weekend!